This townhome has it all. With an amazing open floor plan and two master bedrooms, its the perfect place to call home. 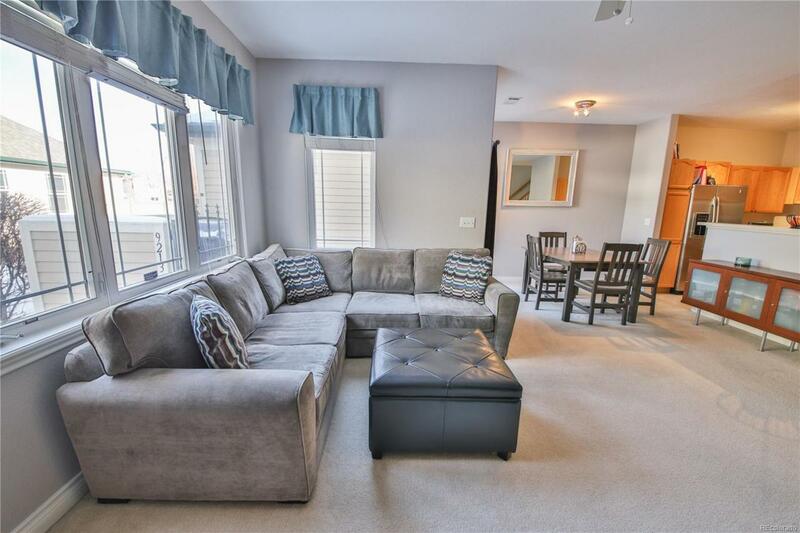 As soon as you walk through the door, a generously sized living room awaits you. With plenty of natural light, it is a great space to relax and host friends and family. The upgraded appliances in the kitchen really tie the whole space together. As you walk upstairs, you are greeted with ample sunlight. The master bedroom is beyond expectation. With large windows, a killer walk-in closet, and a five-piece en suite master bathroom, its a space that you can truly make your own. The best part? Your additional bedroom has its own attached bathroom, which makes it a welcoming space for guests or a home office! The cherry on top?! You have a two-car attached garage and wonderful community amenities such as the pool and fitness facility. Get ready to enjoy your new home!